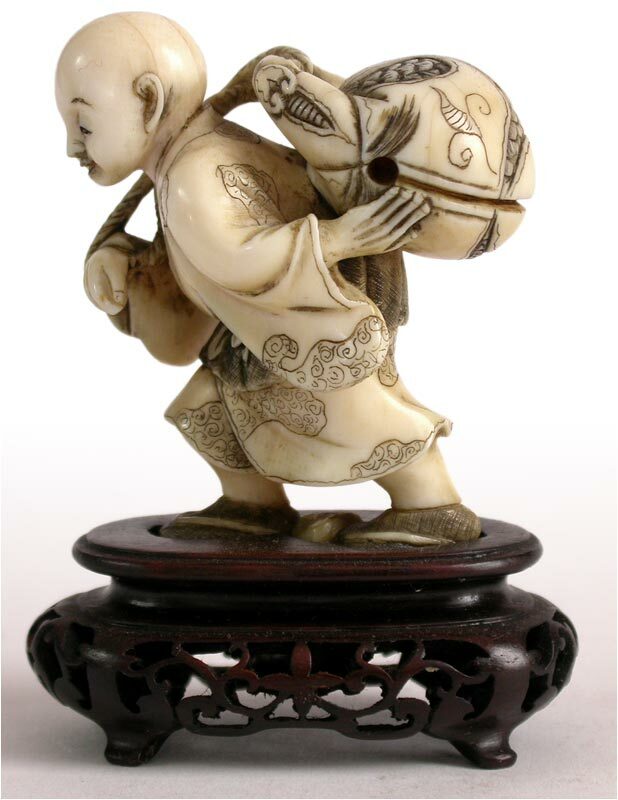 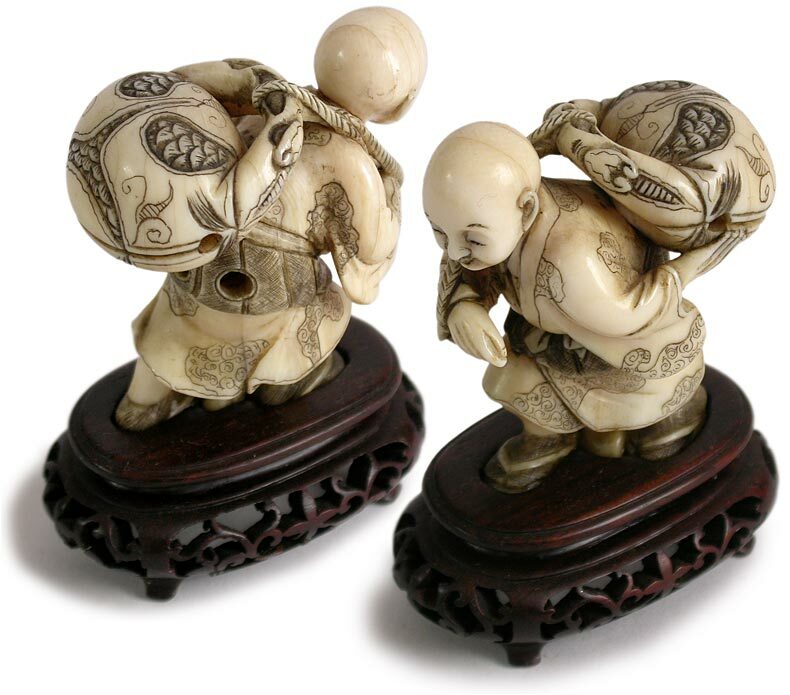 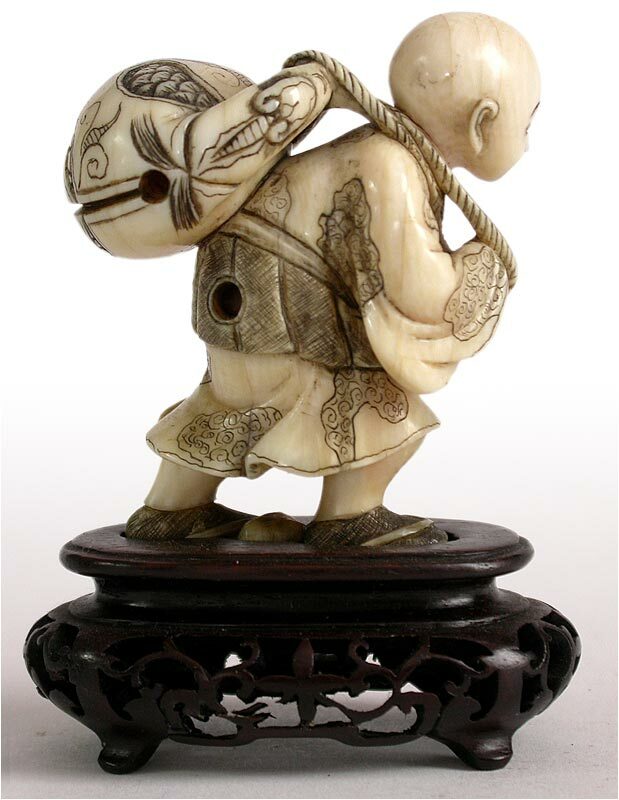 A boyish young monk steadily marching forward with a large mokugyo on his back; the traditional ritual instrument that produces the steady knock on wood rhythm for Buddhist chanting practice. 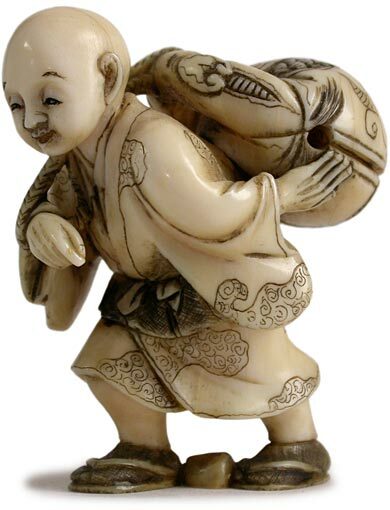 This is a familiar image often seen around Buddhist countries throughout Eastern Asia. 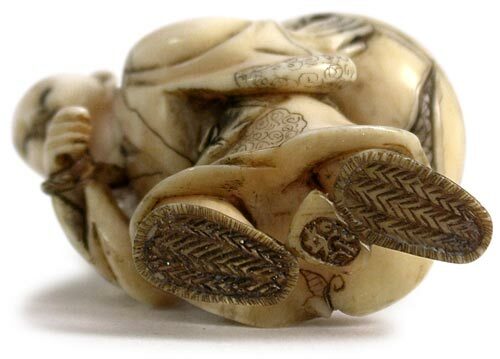 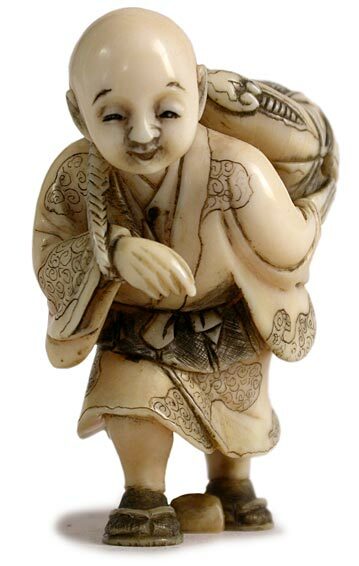 The figure of this netsuke is carved fully in depth, enriched with motion and might, along with the flowing robe etched with multiple design motifs. 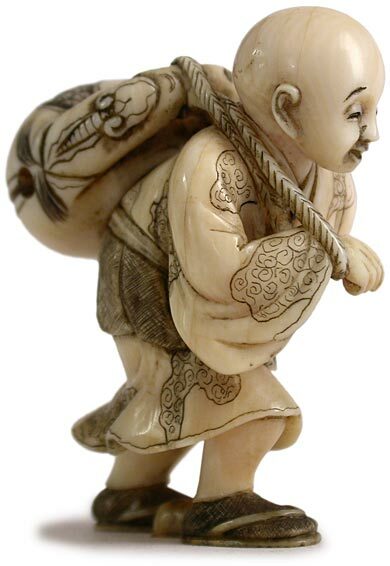 The noble countenance of the handsome young monk came through, in a sublime and inspiring miniature carving that exemplifies the spiritual and artistic heritage of Japanese culture.